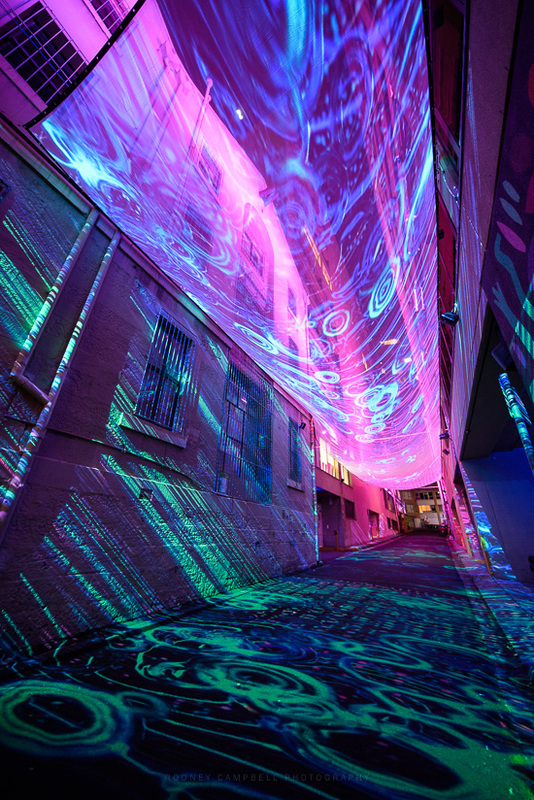 One of the hidden gems of Vivid Sydney is an installation titled “Tidal”. 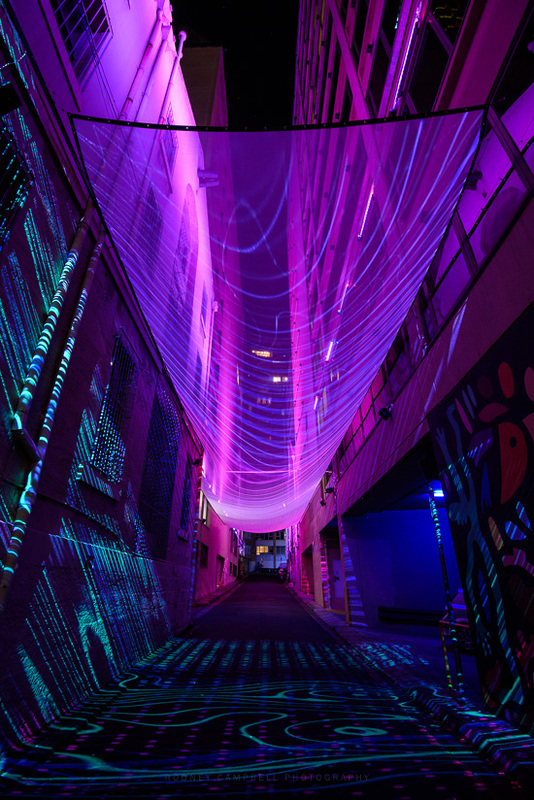 It’s tucked away in Loftus Lane – one of the back streets near Circular Quay. 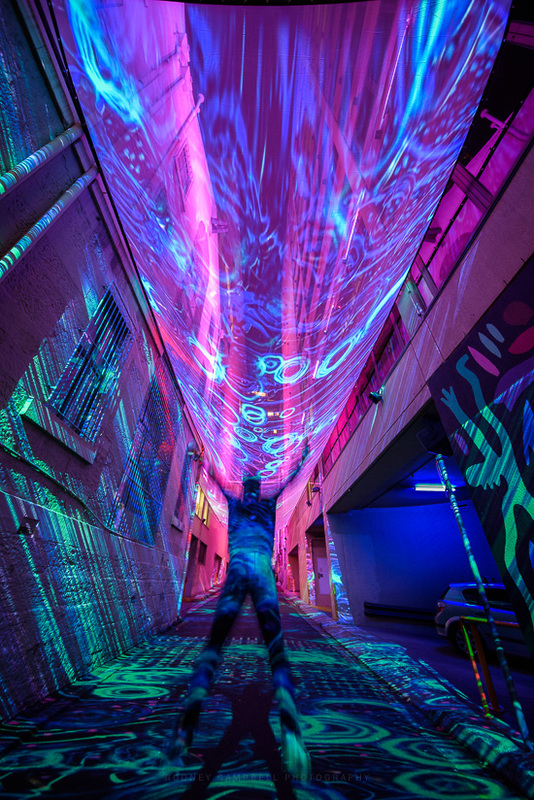 It’s not obvious or even visible from any of the main streets in the area – but if you venture into the dark alleyways you’ll be rewarded for your effort. 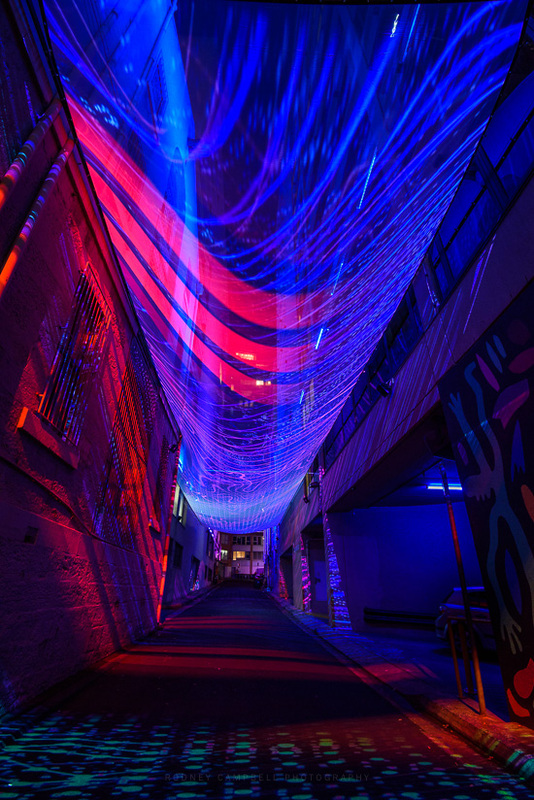 The installation is about a thirty metre long translucent fabric strung up high in the street with speakers all along both sides. 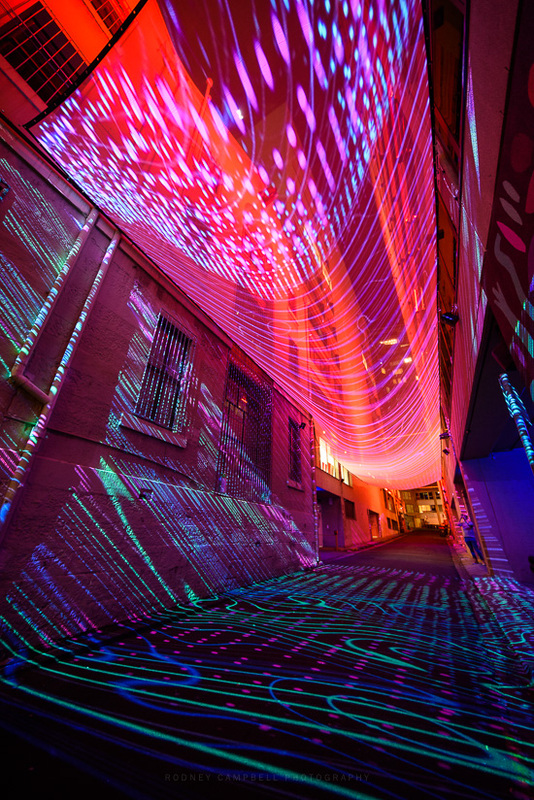 Tidal charts Sydney’s evolution from before First Contact to the present day. 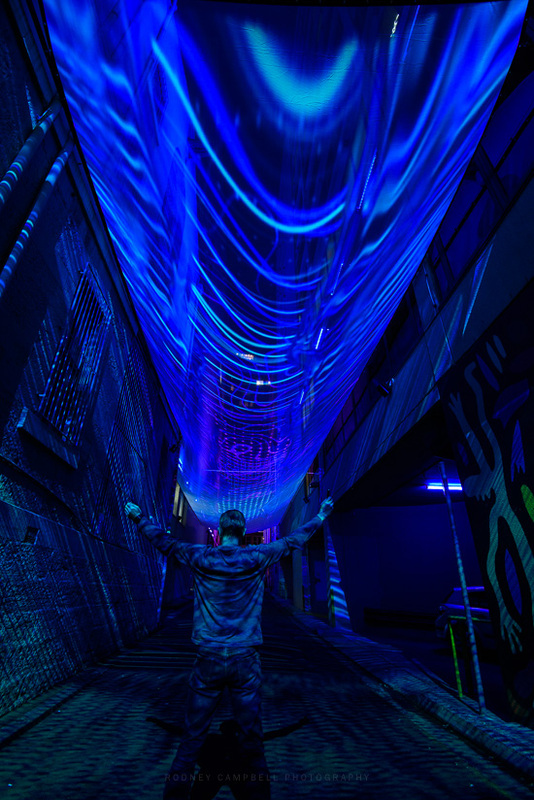 It creates a narrative of sound and light that weaves above the city streets and captures the tides of change that have so relentlessly transformed the city.